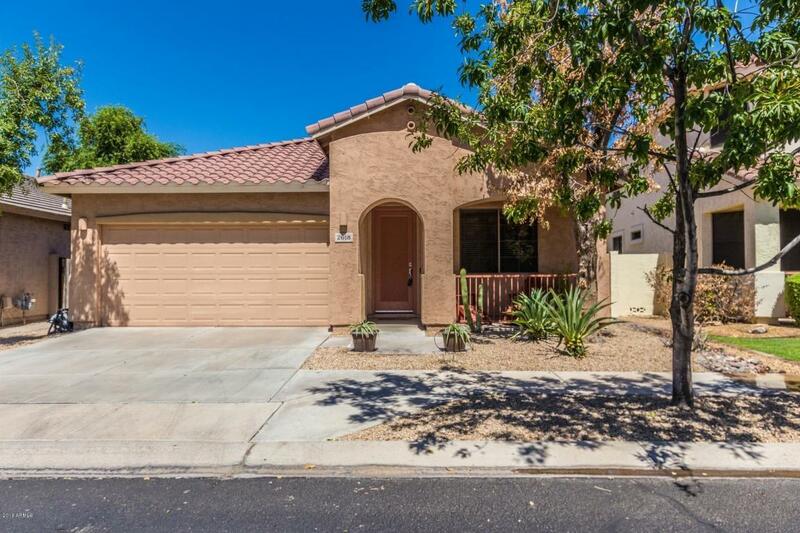 IMPRESSIVE, SINGLE-STORY, SPLIT FLOOR PLAN located in the quiet, GATED, GOLF COURSE community of Fairways at the Legacy! 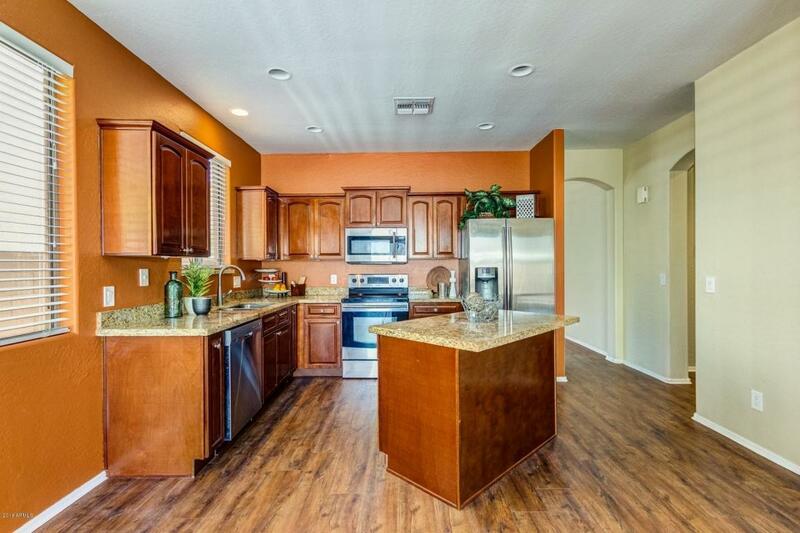 OPEN kitchen w/granite counters, SS appliances, RAISED PANEL cabinets & Island. WOOD PLANK STYLE FLOORING, NEW Carpet & CUSTOM PAINT. SPACIOUS master w/ walk-in closet UPDATED master bath w/ GRANITE counters, custom tile & glass shower with DUAL WATERFALL SHOWER SPRAY. Ceiling fans & wood blinds in each room. Backyard features soft green grass and pave stone patio area, perfect for entertaining! Garage is showroom ready with its Epoxy floor. Includes Fridge & newer Samsung, High End Washer & Dryer in metallic grey. New water heater in 2017. 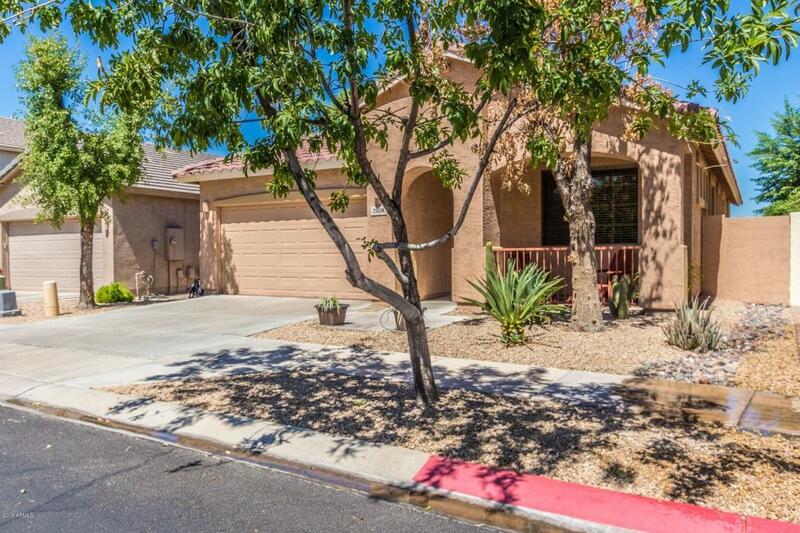 Close to Sky Harbor, AZ Mills, I-10 ASU & US 60 A great 2nd home or VRBO.